Last Updated: 19.01.19 By Adrian B. So you are a builder or a professional within the construction industry?! Are you looking to gear up for your next job? Or just want to add a new toy to your toolbox?! Maybe you are one of our ninjaDIYers that want to know what kind of top-notch tools are the PROS using to have high-quality finishes?! Well … whatever your reason is for visiting today, let me tell you that you have landed at the right place! This is an EXCELLENT cross-line laser level for tiling professionals like yourself. This laser level comes with GREAT features that will help you take your tiling game to the next level. You’ll be more productive. It’s easy to set up which will allow you to work faster and finish more projects, making more money. Nice, right? This is what you want if you are a professional! So let’s have a look at what kind of laser levels this boys and girls like to work with day in – day out on construction and building sites. To come up with this laser level reviews article, I went around the construction site on my day job and asked a few trades like ground workers, tilers, drywall fixers, electricians, carpenters, and handymen or handy-woman what they believe is the best laser level for builders or construction jobs in general. And they gave me almost similar answers. 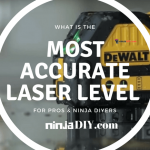 Numerous factors are taken into consideration here ….especially when it comes to finding the best laser level for builders and construction professionals in general. It however all boils down to precision and functionality. A handful of products stand out from the crowd as far as laser levels for building contractors are concerned. Whether you’re a professional builder or a DIY hobbyist, using a laser level will help you make the most of your time and effort. 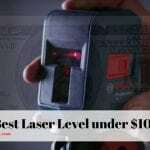 In this article, I have sampled five of the most rated laser levels. I believe these get the most value for your money. Shopping around for a laser level can be quite the task for beginners or inexperienced builders. You cannot just pick a laser level off the shelf and call it a day. It is therefore recommended to consult construction equipment dealers and laser level reviews for insights into what you should consider when prospecting for a laser level and this is where we come in to assist you. Accuracy is a critical factor to consider when prospecting for a laser level. Excellent quality laser levels have an accuracy of around -+1.5Xm at a distance 30m. Auto lasers, also called self-leveling lasers, essentially do most of the work for you. Auto laser levels will stop if disturbed, which means there is no room for any inaccuracies. Manual lasers, on the other hand, keep running even when disturbed making them better suited for smaller projects. Green beam lasers levels are the preferred choice for most indoor projects as they are easier to see thanks to a brighter intensity. Red beam laser levels, on the other hand, require a detector compared to green beam laser devices and are mostly used in large outdoor projects. A suitable laser level needs to have a bright beam so that the user can easily see the lines in normal lighting conditions as well as in bright lighting conditions. Without much ado, let’s get into it. The DeWalt DWo88k it’s the best laser level for construction professionals. With great features like auto-leveling function and cross-leveling laser beams, this tool will make your life easier. Compact, accurate and tough you MUST take this tool with you on any job. 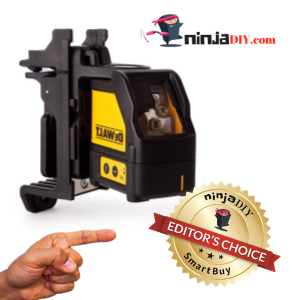 Want to know what others are saying about this laser level? Click on the button below to find out! The DW088K is an extremely brilliant piece of equipment capable of performing professional leveling tasks. Designed and built by DeWalt; a world-leading brand in construction equipment, the DW088K’s quality is unmatched in its class. The device is most popular among professional builders, carpenters, and handymen. Hobbyists have also taken quite a liking for this little laser level. From my experience and from research, the self-leveling feature built into this laser level model is popular with most builders and DIY enthusiasts. The accuracy and functionality of this model make it a popular choice for professional builders. Special Feature ☛ It projects bright crossing horizontal and vertical lines for various leveling and layout applications. Built-in magnetic pivot base for mounting on metal surfaces. Probably the best laser for indoor use. Not recommended for outdoor jobs. Best self-leveling 360 laser level with green beams from my list. This Huepar model it’s becoming a favorite very fast in the professional world. For easy reasons. It’s cheaper than many top brands. It does a good job armed with LOTS of great features. And it comes with the latest technologies like GREEN diode. You’ll be able to see much better the laser lines. Don’t buy before reading owners opinions. Click below! The Levelsure 902CG laser level is excellent leveling aid with full 360 degrees leveling. The bright green laser beam is easy to see even in bright lighting conditions. Its portable size makes it easy to fit in any professional or DIY toolbox. There are two methods to use this laser level, one is to let its inbuilt pendulum to level adjustments automatically, and the other is to set the level manually. This Levelsure 902CG features a smart pendulum system that self-levels and indicates an out-of-level state. The device locks when switched off or not in use. The accuracy of the green laser beam is ±1/9 inch at a range of 33 feet. The laser level device boats a host of handy line selection modes. It can project laser lines together or independently; cross line, vertical and 360-degree horizontal axes. It has a 360-degree horizontal line plus a 120-degree vertical laser line for alignment, leveling and layout applications. The self-leveling time is less than 3 seconds with a laser wavelength of 510±5nm. These are professional building requirements. The laser level features two full-time pulse modes that can be switched with the simple click of a button. In my findings, the Levelsure 902CG is quite popular among professional builders thanks to its versatility and ease of use. It can be put to use in pretty much any construction task. The downside, however, is that despite being a green beam laser level, it falls short of the expectation that it can be viewed even in bright daylight conditions. Special Feature ☛ Green laser beam, much better visibility than a red laser beam. Excellent for indoor use, a MUST HAVE tool. It could work well outside due to its green laser beam but I don’t recommend it. Great laser level for fencing, landscaping, groundworks and so on. If that’s the type of work you do … you must own this rotary laser level. It’s very accurate and it’s made to last. Excellent for big projects with a big range of operation. Not to mention the LONG LIFE BATTERY. It can be used for 100 of hours before recharging it. Read some reviews by clicking on the button below! The Topcon RL-H5A laser level features an easy manual slope calibration feature that is made possible by a button that allows the laser device to change its slope towards the direction you prefer. When on the correct slope, the RL-H5A will alert you. The durability of this laser device is very impressive. Also included in the package is an anti-drift system that makes use of three LED lights to alert you if the device is knocked off balance while rotating. This laser level boasts an impressive 100 hours of battery life using 4 D-cell batteries. The unit’s accuracy is within 1/16 of an inch at a range of up to 2,600 feet. The Topcon RL-H5A allows self-leveling when tilted at an angle of fewer than 5 degrees. Topcon’s RL-H5A also packs convenient features such as slope matching and high-speed rotation rates. It weighs a meager 13 pounds making it an-easy-to-carry tool. It also features two LCD screens on front and rear positions that make its use in building more comfortable. The product has found a soft spot among hobbyists and professional builders thanks to its functionality. Consumers have been noted saying that it performs as it is advertised. Another popular feature the consumers have taken a liking for is the unit’s ability to withstand drops. Not many complaints about this piece of kit, only that it might not be for everyone’s pocket. So a little a bit expensive but the quality is there. Special Feature ☛ Its slope matching feature makes it an excellent tool for excavating. Excellent accuracy at big ranges. It’s not the best tool for indoor use, excel at outdoor applications, very good features. Another AWESOME laser level for PROS. This one comes FULL of features. Auto Leveling function, 360-degree beam projection, good range of operation, accurate … looks really good. Ideal for alignment, leveling, layout operation … whatever you do, this level will make your job easier. Want to know what others are saying about it? Click below! The Tacklife SC-L03 is an amazing laser level that has received widespread acclaim from both expert builders and home improvement maintenance hobbyists. The product offers intuitive features that set it apart from the competition making it a well sought-after piece of equipment by builders. The design features a fully functional 360-degree magnetic swivel base that allows for all-around operation. The Tacklife SC-L03 allows self-leveling when tilted at an angle of fewer than 4 degrees. If the tilt angle exceeds 4 degrees, the laser will blink in unlock state to indicate an off-level state. The design entails robust, shockproof housing with IP54 class protection that is ideal for work on rugged construction sites. Being splash and dust resistant, this product’s durability and service life are impressive. The self-leveling time on this model is less than 3 seconds. The unit projects a laser beam cross with a leveling accuracy of +/- 4mm / 15m and a horizontal/vertical accuracy of +/- 3mm/ 15m. It allows a compensation range of 4 ° +/- 1 °. The laser level’s 360-degree horizontal and vertical marking capabilities and the self-leveling function is handy features that make it a favorite to many users. The laser beam is bright enough even after about 35feet. Numerous consumers have cited the location of the pendulum lock as a significant drawback. There is a heightened risk that your eyes will come into contact with the laser beam as you try to toggle the on/off switch which is risky. Special Feature ☛ Provides one 360° horizontal plane all around the room for level and aligns/plumb applications. This PLS device is one of the top rated laser levels in our industry. Many contractors loved the previous version of this model. The one that projects red lines. PLS upped their game and made available this model that projects GREEN LASER BEAMS. The green lines are noticeably easier to see in the bright environments. Don’t forget to click on the button below to read what other contractors think about it! Leveling in building and other construction tasks are made even easier with this 3-Point Green Beam Laser Tool designed by Pacific Laser Systems. The device has green laser diode technology capable of projecting three visible laser beams that are estimated to be at least 300% brighter in intensity compared to red light laser beams. The green lasers make the PLS-60595 the perfect choice for outdoors tasks, so we could say that this model from PLS it’s the best outdoor laser level from our list. This PLS-60595 is self-leveling made possible by the incorporation of a pendulum lock mechanism. PLS-60595 is built tough to give you a long service life. It is accompanied by a 3-year warranty and is the perfect electrical work tool. One feature of the PLS-60595 that consumers are not happy about is the extensive use of plastic in the device’s casing. It raises severe durability and survivability concerns. Special Feature ☛ The green beam diode produces a highly visible green line for extended indoor visibility in brighter light conditions. Excellent for indoor use, a MUST HAVE tool. Due to its green laser beam, you might be able to do some jobs outdoors as well. I guess I don’t have to tell you this … that a laser level is a must tool for any construction worker and building professional who requires accurate alignment for their projects to be accomplished. With the help of laser level tools, you can acquire a degree of precision that cannot be matched by common spirit level tools or by any other leveling tools. But I just need to remind you to not cut corners when it comes to choosing your tools!!! 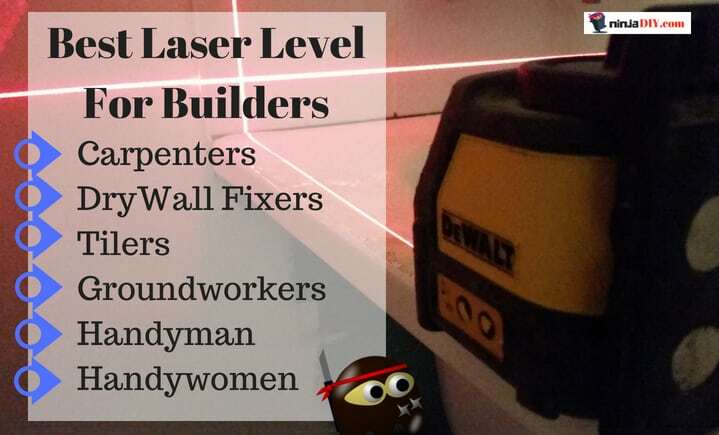 I hope that this guide will help you pick out the best laser level for your various building tasks. Stay safe, good people, see you in the next article. Oh, by the way, if you are like me, a happy and positive person who likes to have fun at work (as well as being productive whilst working) I believe you might like this article where I talk about the top 10 best job site radio brands out there. Listen to music whilst doing my job … it helps me so much to have a better day at work, how about you? Please leave me a comment below if this article was helpful to you in any way. I’d love to hear what YOU are using or what you prefer. Do you need some help or advice on anything? Honestly … you can ask anything that has to do with DIY, Building, Construction, Tools … whatever, I’m more than happy to assist my Ninja Followers. Send me a message here.